If you have been tuned to any Radio or Television Station for an hour, you have come across beautiful and sensational Love Melodies either ‘You and Me’ or ‘drum’. They are currently rocking Uganda’s Air waves, thanks to the beautiful work from the one and only Songbird, Lydia Jazmine. Her music has been relevant in the music industry for years from ‘Same Way’ in which she featured Geo Steady till now. This is the reason why we have decided to share with you (Her Fans) a simple Bio about your Celebrity. Singer Lydia Jazmine was born Lydia Nabawanuka on 27th of July 1991 in Mukono town, just 20km to the capital of Uganda, Kampala. She is a proud a proud daughter of Kasugi william and Nakanwagi Scolastica. After the unfortunate divorce of her parents, Jazmine later relocated to Jinja in 1995 where she lived with her auntie throughout her primary school level. She then came to Kampala, Kyebando – Kisalosalo zone, a Kampala suburb to live with her mother. 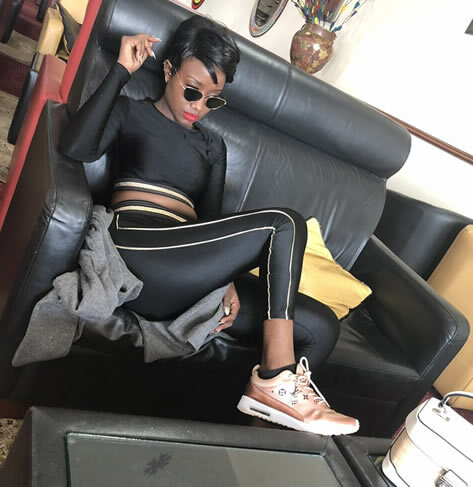 According to Lydia Jazmine, Growing up was not easy at all because she and other 4 kids were brought up by a single mother. The ‘Nkubanja’ singer attended Victoria Nile primary school, St Marys Namaliga and City land college school Matugga for O level before joining Margaret S.S, Kyebando for A level. She attended Multitech business school where she did a degree in Business Administration and Management. She is also a certified peer educator. 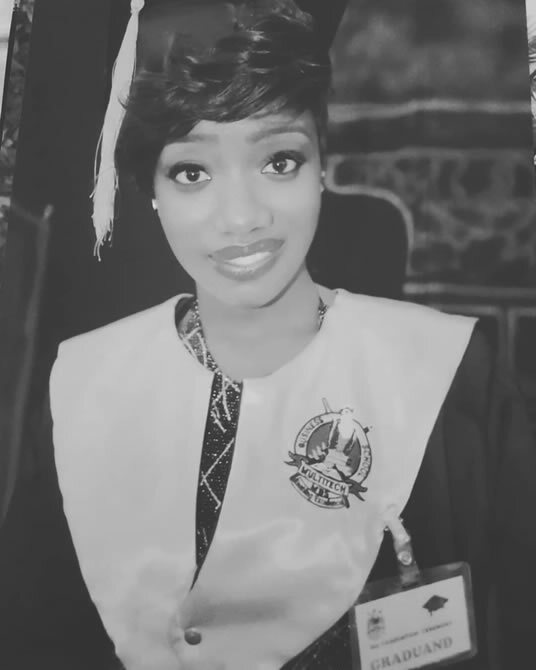 Lydia Jazmine started singing way back as a child in her high school choir before later joining Passover harvest centre and Watoto church choirs. After completing senior six (s.6) in 2012, Lydia joined a cover band called Gertnum from where she specialized in doing covers and back up singing. “I did numerous gigs and tours with artists like Coco Finger and Fidempa from Kenya. At the University, I partnered with guitarist Harry Lwanga to form an acoustic group of two people doing acoustic covers in bars as a way to raise my tuition,” Singer Lydia Jazmine Narrates. In 2013 while at one of her acoustic gigs, she met Radio and Weasel producer and manager Bushingtone who later hired her as the the official back up artist for Ugandan singing duo, Late Mowzey Radio and Weasel Manizo under the Good Lyfe crew, that she backed on stage and in studio. Her voice featured in backgrounds of Radio and weasel hit songs like Ntunga, breathe away, can’t let you go etc. She has also backed artists like Pallaso, Sheebah Karungi, Bebe cool among others. Her first single ‘you know’ featuring the now faded dance hall superstar and rapper Rabadaba was the reason for her breakthrough into the competitive Uganda music Industry in late 2014. This was after she had got signed to Necta Music under the management of Bushingtone who is still her manager till today (time of print). Lydia Jazmine has managed to keep around the top 10 in Uganda’s music charts and to some one who understantds Uganda’s Music Industry, it is a great mile stone. Most of her songs have been hits such as Drum, Nkubanja, Sherry, Same Way, Guno Omukwano, Tondekangawo and Masuuka. among others. She so far has two music albums to her name, the first called ‘Special’ and the other ‘Soul on Fire’. 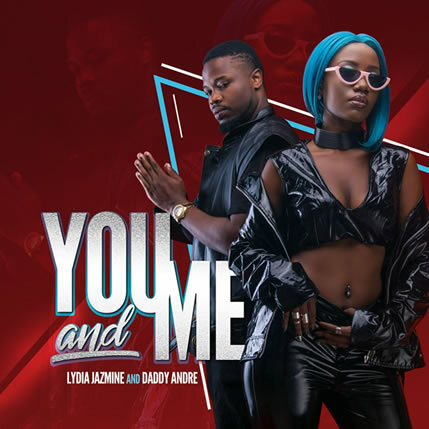 Her romantic single ‘You and Me’ featuring Daddy Andre has kept on top of music charts for months now and receiving great airplay not only locally, but also across East Africa and Africa at large. In may 2016 she appeared as the big break on the biggest musical show on African soil Coke studio Africa remixing her hot single Cherie with Nigerian super star Kiss Daniel and Bahati from Kenya and in January 2017, she was listed in the 50 African artists to watch 2017 by MTV BASE AFRICA. Lydia Jazmine says that through music, she has been able to take care of her family, invest in herself and stand on her own and be able to make more music. She has established connections worldwide that call her up from time to time. Lydia’s dream is to be the best female artiste globally. However, in the next 5 years, she wants to be the best female artiste in Uganda and the whole of Africa. 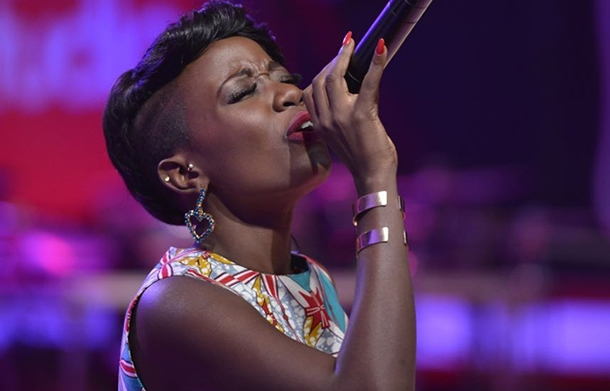 After being called upon for Coke Studio, rumour sprouted pinning Lydia Jazmine to be beefing fellow female sensational singer Sheebah Karungi. However, Lydia says that she can never beef the self proclaimed ‘swagg mama’ for any thing since she is one of closest friends. She says that she has come across a lot of challenges since she started her music career. Though she wouldn’t call it crazy, Lydia says that at one time when she was starting her career, a fan pulled her and gave her a peck on the cheek. But with time, she has found it normal, musicians are always pulled into the crowd, hugged and pecked. The ‘Tondekangawo’ singer has for long been linked to a number of City men including Celebrities such as Rabadaba, Geo Steady, Maro but later turned out that they have been business partners. 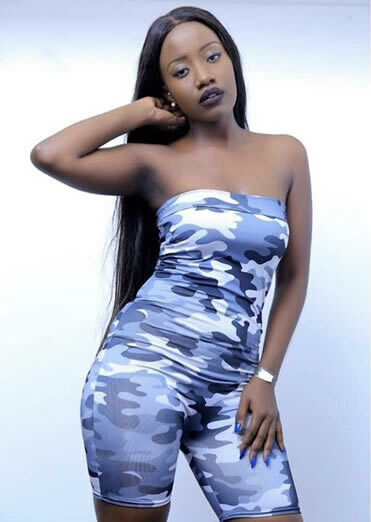 During her recent interview with Crystal Newman of Sanyu FM Radio, Lydia Jazmine revealed how she is in a complicated relationship to understand. “The truth is I am not single but still am not certain about the relationship that I am in. I am being confused by someone right now,” She said. Love is a beautiful thing, it is amazing to be in love. We could be nothing in this world without love, we all need it. Yes I have been heartbroken before because I have been in and out of love. God fearing, respectful, understanding, loving and caring. When she gets angered, Lydia says she keeps angry by doing the silent treatment. If it is too much, she sometimes cry it off. Disappointments that include lies, disrespect and others. Matooke, sweet potatoes, posho, beans, greens and fresh fish. This is all we have managed to collect about your Celebrity, Lydia Nabawanuka Jazmine, we shall keep you updated for more Information about her.